The seemingly marked shift of emphasis in Comte’s thinking has been something of an embarrassment to his followers, including many of his contemporary ones. John Stuart Mill was an early admirer, but by the time he published Auguste Comte and Positivism in 1865 he had to dismiss the master’s later works, deeming them “false and misleading” (in Olson 2008:65). Partially for this reason, it has been rather commonplace to talk about Comte as a “divided” thinker, displaying two radically different careers. One was his true intellectual and scientific career, with his many pregnant and innovative contributions to sociology and the history of science. The other was as a crazed prophet, a philosopher turned fanatic. As George Sarton, another disenchanted disciple put it, “the prophet in him had killed the man of science”. The positivist “Religion of Humanity” did however make some sense in view of his earlier period. Essentially, it was an attempt to take out all transcendence and superstitions of religious doctrine while keeping ritual, ceremony and ethical teaching. It sought to discard the remnants of the two more primitive stages of society, the Religious and Metaphysical stage, while cultivating the values of the Positive age. Comte’s 1852 Catéchisme positive laid out a type of worship which aimed at “regulating the direct cultivation of our sympathetic instincts”. One way of doing that was by commemorating and celebrating the lives of dead heroes, friends, and relatives, focusing especially on the desirable characters that they possessed. But the new Positive religion was also about celebrating the power and progression of scientific thought. This project was embodied in Comte’s proposed calendar reform, which substituted the 12-month Gregorian calendar with a 13 x 28 day calendar, with an extra day to commemorate the dead and a system for leap years. Apart from a rationalization of the calendrics, the calendar was particularly “positivist” in that it reflected the progression of western thought by naming months and days after great minds of various epochs (March 8, for instance, is the day Tuchydides in the month of Aristotle – otherwise Aristotle 10). There were no supernatural entities in the Religion of Humanity, and the only afterlife it promised was the reputation of one’s life carried on in the memories of relatives and friends and commemorated in the Church’s rituals. But it had some other bizarre characteristics, which many of his earlier followers found disturbing. First of all, he effectively apotheosized his young love, Clautilde de Vaux, who had died suddenly of tuberculosis in 1846. Comte demanded that Clautilde be worshipped as “the Virgin Mother of the Great Being” – the latter was his expression for the whole of humanity. Additionally he proclaimed himself “the High Priest of Humanity”, demanding to be obeyed without question by his followers. The whole thing started to look like a mockery of secularism and Catholicism alike. Indeed, historians point out that Comte’s Church occupied a difficult place in which it got criticism from both secularists and religionists. In England T. H. Huxley expressed a popularly held view when he claimed that the Religion of Humanity was little more than Catholicism stripped of its Christianity – a kind of pseudo-secular “revival of Catholicism”. But then again, he was also known to “fly at a Positivist with even more zeal than at a bishop” (in Campbell 1971: 70). So then, where did all of this come from? Bursting through the widening cracks of a once so brilliant mind? Well, at least such a psychopathologizing opinion isn’t needed to account for all of it. For example, Comte had actually flirted with the idea of a “religion of universal love” already in the 1820s. His later project should be seen in the context of a position he expressed through all his work, namely that the prospective science of sociology should give birth to a social engineering as well – a political craftsmanship founded on positive scientific knowledge. It also seems significant that his activist turn largely coincided with the Revolution of 1848, the Second Republic, and the Second Empire. A politically turbulent period, to say the least. At any rate, Comte’s Church decidedly had a role to play in his project of social engineering. For one thing, it seems linked to his non-revolutionary solution to the divide between the classes: the bourgeoisie had to be taught to make the right choices concerning how to spend their capital to the benefit of society, for example. Similarly he held the family to be the core unit of education, learning, and a Lamarckian type gradual cultivation of our instincts, and made sure to place a strong emphasis on marriage and monogamy in his Church. In fact, he wanted to institute a notion of “perpetual widowhood” and “union in the tomb” to extend marriage even beyond death. As historian Richard Olson recently commented, “although women were to be venerated, they would also find themselves even more excluded from intellectual life, political life, and nondomestic economic life than was typically the case in nineteenth-century society” (Olson 2008:81) – if Comte’s vision had been fully realized. It wasn’t – at least not in France or England. An intriguing twist of the plot is that all aspects of Comte’s Positive philosophy, and particularly the political and religious aspects, were much more successful in the colonies than in Europe. It spread among the educated middle-classes of India and Bengal, seeing in it a programme for attaining the same august level of development as the European states had achieved. In Brazil Comtean Positivism even became the leading ideology and philosophy of the republican revolution (read: coup) of 1889 (the national motto, Ordem e Progresso, builds on his ideas). 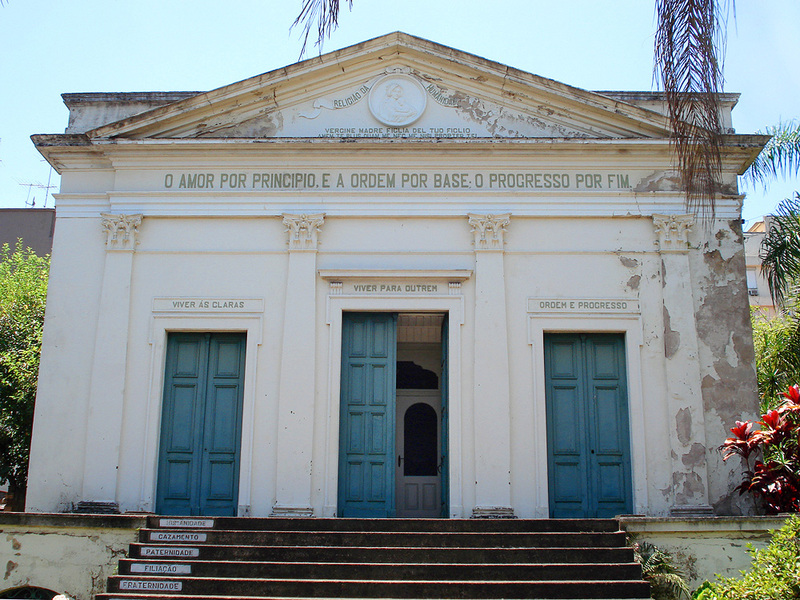 The Religion of Humanity even became something of a state religion, and there are still active temples left in Brazil to this day. All in all, however, Comte’s Religion of Humanity failed. It nevertheless occupies a fascinating position in the history of “irreligious religious movements”, organized secularism, freethinking, agnostic, atheist and humanist groups. Olson, Richard G. 2008. 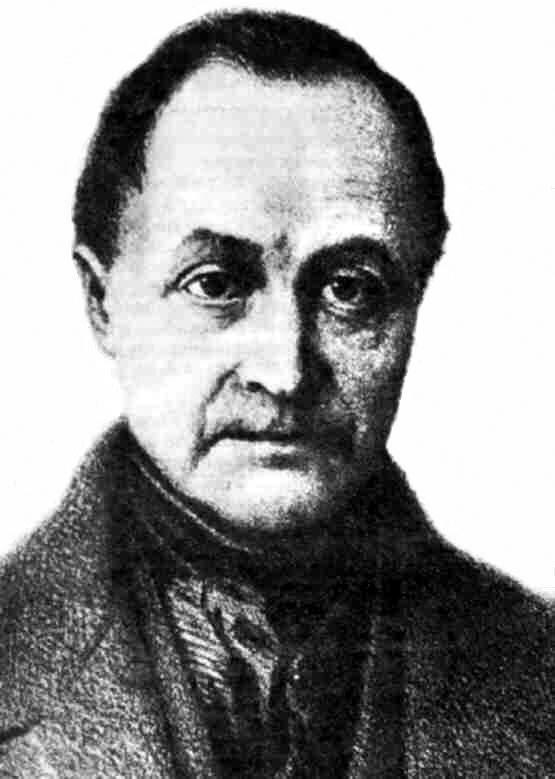 Science and Scientism in Nineteenth-Century Europe. Chicago: University of Illinois Press. Wright, T. R. The Religion of Humanity: The Impact of Comtean Positivism in Victorian Britain. Cambridge: Cambridge University Press.